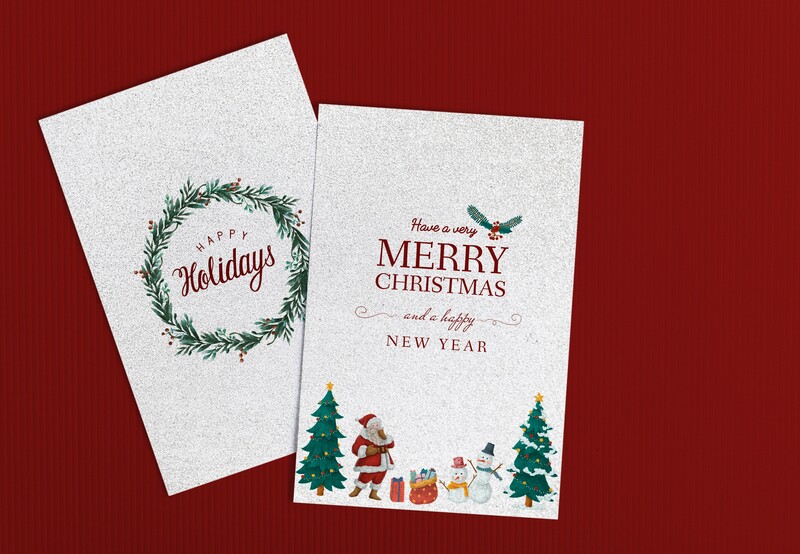 The Do’s and Don’ts You Need to Know:It’s never too early to get started on addressing holiday cards. In fact, experts recommend that you have them sent by December 10th in order to ensure their arrival before Christmas! My family never sent holiday cards while I was growing up. It wasn’t until I went to college (and lived with five equally crafty girls) that I developed a love and appreciation for greeting cards, especially around the holiday season. Since then, it’s become an annual tradition to create, address, and mail my seasonal greetings to all friends and family. DO include a short hand-written note inside, even if it’s just a quick, simple phrase. Most people get their cards printed in bulk these days, and why not? It’s so much easier that way! However, your friends and family will enjoy that little touch of personalization. DO write the recipients’ name(s) inside the card. Again, it’s those little personal touches that make a difference. Writing someone’s name inside the card reminds them that you took time out of your busy day to think of them. DON’T forget a return address on the envelope. How else can Aunt Tilda send you back a card? DO include a photo (if you want). Photo holiday cards are by far the most popular nowadays, and let’s face it, they’re pretty cute. But don’t feel like you need to force it… if you’ve got the photo, great, but if not, a nice note will suffice. DON’T forget to be sensitive of all holidays. Rather than “Merry Christmas”, a neutral “Seasons Greetings” or “Happy Holidays” is your best bet to keep things appropriate. DON’T feel like you have to send a holiday card to every person you know. My recommendation – make a list first, and check it twice. It helps to have extras on hand for later in the month if you feel like you’ve forgotten someone, but again, you don’t need to send a card to everyone. DO keep the boasting to a minimum. Some folks like to include a letter detailing updates on their year. That’s perfectly acceptable, though I will advise you to keep said letter short and sweet. Try to pick only one or two highlights and stick to those…unless you want people to use their menorah candles to set your letter aflame. Finally, DO sign the card, even if you printed your name at the bottom of your missive. It’s all about the little personal touches… that and everyone is going to need proof that you haven’t been taken hostage and this card thing was actually your idea.